Let’s face it, keeping your look together and putting your best face forward day after day can feel like a full-time gig. But as with most things, if you break down your activities into daily manageable steps, everything becomes easier. 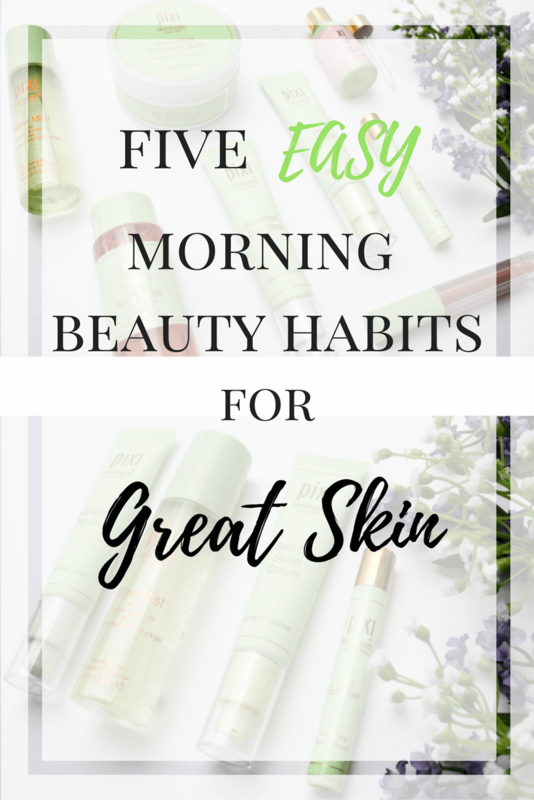 Today I’m sharing five simple morning beauty habits that will have you glowing in no time! I can’t stress enough how important water is to your beauty routine. As I always say, beauty begins as an inside job and being properly hydrated is one of the first steps to optimal health and beauty. 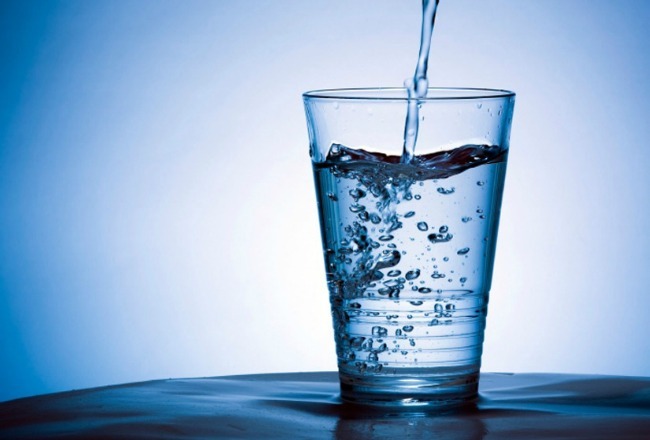 Drinking water first thing in the morning helps flush your system of toxins and waste, aids in cell regeneration and a host of other good-for-you functions. The addition of lemon is a bonus but is not well-tolerated by all. Either way, treat yourself to the water! Whether you use a fancy atomizer from Evian or Jurlique or tap water in a spritzer bottle from the dollar store, misting your face is a lovely way to add moisture and refresh your skin. Do this before applying moisturizer to seal in all the benefits. OR apply a moisturizing mist like this one from Pixi Beauty. This one seems like a no-brainer but I can’t tell you how many women I talk to that often skip a daily moisturizer! I always give them the ‘you must be crazy’ side eye and in return I get the wide-eyed innocent look followed by ‘sometimes I just don’t have the time’ cry. Girl! 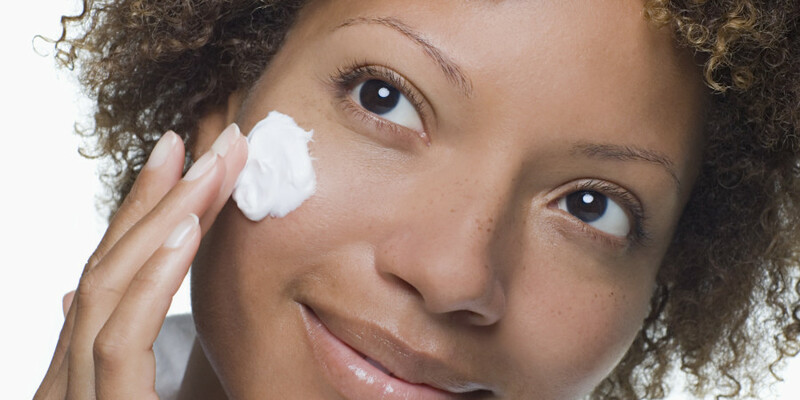 Find a moisturizer that works for your skin type and be generous about it. Here is one of my favorite moisturizers and here’s another moisturizer to try. I always use a moisturizer with sunscreen built in but if you don’t, this next step is especially for you. Sun exposure is a leading contributor to premature aging so sunscreen is an absolute must 365 days a year. Use a broad spectrum sunscreen with a sun protection factor (SPF) of at least 30. Apply liberally to your face, neck and decollete. And don’t forget your ears and your hands. Ears? Yes, ears. If you’re rocking a short ‘do or a ponytail, your ears are exposed to the sun’s unforgiving rays just as much as your face. There are a number of great options to try including this oil free one and this one. Make space in your morning beauty routine for some body care with yoga. There are a number of quick pose sequences you can perform to get your blood pumping and amp your energy. Here are some easy morning poses courtesy of Yoga Journal that you can perform. And here are a few more quick and easy yoga routines on Yoga Download. If you’re not into yoga per se, do some gentle stretches to rev your metabolism and help you look more radiant. That’s it! Five quick tips for your morning beauty routine that will have you glowing inside and out. 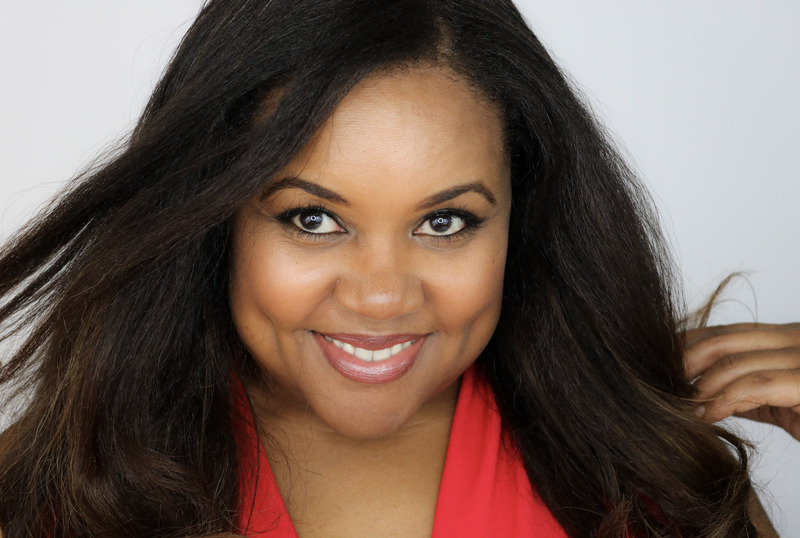 And if you want to take your morning routine to another level by focusing on more than your skin, add these super helpful morning routine tips too. Stay saucy my lovely! Next Post Laundry Room Goals: The LG Twin Wash System Brings Me Joy! I don’t do stage 4 and 5. Gotta be better!!! As of late, I’ve been making a big effort to drink lots of water as soon as I get up, and also doing a better job at moisturizing my skin. So far definitely helping a ton. I don’t mist my face but I do apply moisturizer right after I get out of the shower while my skin is still damp. 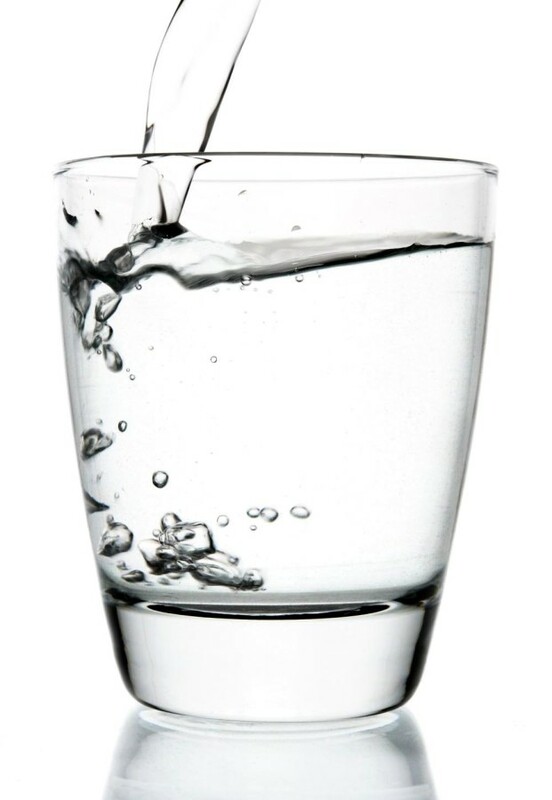 I keep hearing about water with lemon…only thing is I don’t care for lemon in my water LOL. I have extra dry skin so spritzing my face with water and adding moisturizer is an absolutely must! I don’t mist my face. I apply my moisturizer as soon as I am out of the shower while my skin is damp. Same idea. Love the tips. I am a huge fan of water. I drink so much of it everyday, but I haven’t tried warm lemon water yet. I love water but I have trust issue with lemon in my water. lol What I need to do is get that sun screen situation together. Trust issue with lemon water?! What!! LOL!! I love that none of these tips included actual makeup. I hear you. Sometimes I overdo it with exercise and have to take a nap! Thanks for the reminders. Great tips! This is a great routine. Water with lemon is pretty much my bestie. I do slip up on the sunscreen… Gotta do better. These 5 tips are easy enough for anyone to try. Great and easy tips that can make such a different in our skin! These are great tips. I need to find a good spritzer. I don’t do that step. Also, the yoga is not on my list either, but I realize that I need to stretch. I do a in-home weight series and mini-workout in the morning. Of this except spritz my face so I will definitely add that. I need a dermatologist visit to get things under control then I can get back on track on my own. Visiting a dermatologist is very important. Skin care > skin cover. These are great tips! Each one has great benefits. I especially love the one about misting your face. I need to incorporate this one. It’s such an easy way to add moisture throughout the day without disturbing your makeup. its really a nice tips for morning. I think swimming is also a best exercise to make you fit, If you used to in morning,it really helps you.